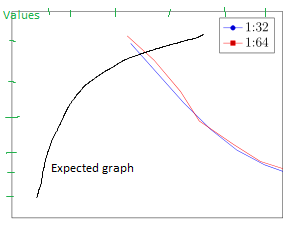 Both has negative values and my graph is not draw correctly. The picture shows what I got. I added the black line with expected line and green colors represents the values of axis. Thanks in advance for your time and ideas. I think you are looking for the key 'x dir=reverse'. Without the reversed direction, -25 is left and -18 is right as in most plots. Not the answer you're looking for? Browse other questions tagged tikz-pgf pdftex graphs or ask your own question. How to make such graph visualisation?